The one of problems which happened in learning activity is the lowness of student’s learning interest. Teacher has to do every ways to increase student learning interest. One alternative is to study the implementation of Team Assisted Individualization (TAI) models. Operational objectives of this study was to measure the learning outcomes of biology and the application of learning models to analyze the influence of the material TAIpteridophyta to biology students learning interest. The research was conducted in SMAN 39 Jakarta in May 2012. The research method used is a quasi-experiment type of Control Group Pretest-Posttest Design with a sampling technique that is purposive sampling. Based on calculations derived normally distributed data and homogeneous.Hypothesis test calculation results obtained tcount 2.97> 1.66 at α = t table 0.05, reject Ho.It can be concluded that there is influence the implementation of Team Assisted Individualization model of interest in studying biology at 39 Jakarta the high school students pteridophyta material. 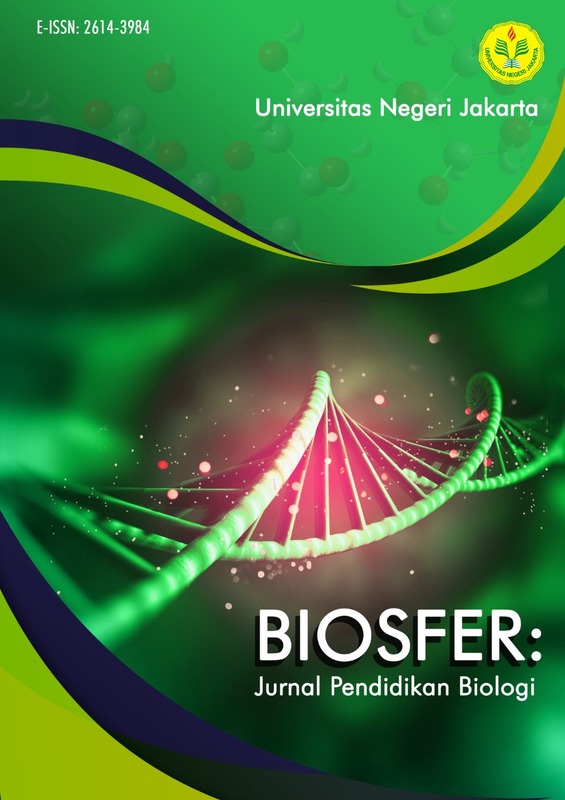 The Authors submitting a manuscript do so on the understanding that if accepted for publication, copyright of the article shall be assigned to Biosfer: Jurnal Pendidikan Biologi (Biosferjpb) and Departement of Biology Education, Universitas Negeri Jakarta as publisher of the journal.